The Faculty of Science has a number of upcoming events for students, teachers and the community. Our events include tours, seminars, information sessions and opportunities to get involved. Take a look below to see what's happening in Monash Science. 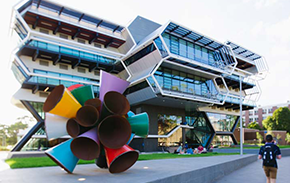 Monash Science is pleased to host the 2019 GTAV VCE Geography revision sessions. Sunday 24 March: Masterclass on VCE Geography concepts & skills and Unit 3 - Changing the Land. Sunday 30 June: Unit 4 - Human Population - Trends and Issues. Sunday 15 September: Units 3 & 4 VCE revision lecture. If you would like to take a closer look and see where you could be studying next year, this is a great chance to visit our brilliant science facilities and student spaces. Get a feel for campus life and have a chat with some of our science students and staff. Also, if you need some course advice we can help with that as well. We’ll meet at 14 Rainforest Walk to commence the tour, please click here for directions on the campus map.